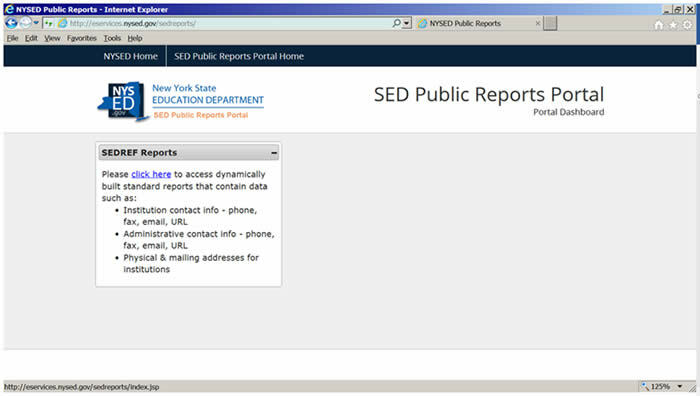 The data in the SEDREF Reports is refreshed nightly. 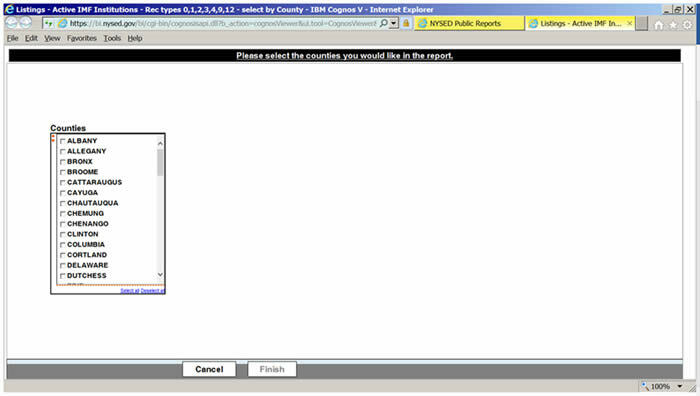 All reports are dynamically built upon selection. 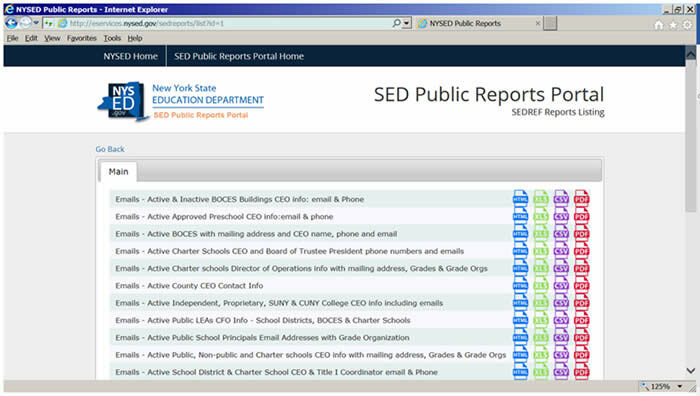 To get started, click on the ‘click here’ link which will bring you to the SEDREF Reports listing page. For Google Chrome (above), click on the up arrow next to the name of the file at the bottom left of the page where it shows downloads. Click show in folder (this will show you the folder where you will look for the file after you open up Excel). 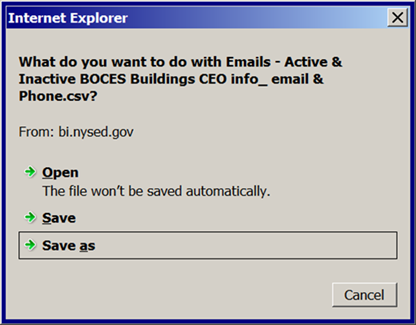 For Internet Explorer, save the file to a folder you can easily find later. Find the CSV file in the folder where you just saved it. Use the Text Import Wizard to set up the file with comma as the Delimiter. Change the Column data format for the SED Code to Text so the leading zeros appear. Do this for all fields with leading zeros (such as: SED Code, County code, SDL code, Muni code, EDEN school ID, BOCES code, vendor ID, FIPS state & county codes). Once the file is imported into Excel, format any cells that are showing up as exponential like the Institution ID and the Parent ID. You can do this by selecting the column, then right click on it, choose format cell, select Number (with 0 decimal places), click OK.
Any report with parameters will be similar to this one. In the top-right corner of the browser window, click the Chrome menu . Under "Privacy," click the Content settings button. Under "Pop-ups," click Manage exceptions. 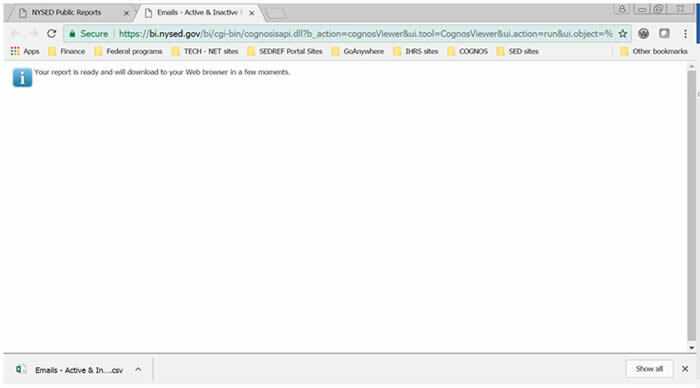 Enter portal.nysed.gov in the hostname pattern box, then click the done button. Mozilla Firefox: Click on this icon at the top right of the page, then options and then content on the left side of the page. You can enter exception sites or allow all pop ups. Microsoft Internet Explorer: Click on the ‘Tools’ tab at the top, then select pop-up blocker. You can decide to allow all pop ups or list exception sites.